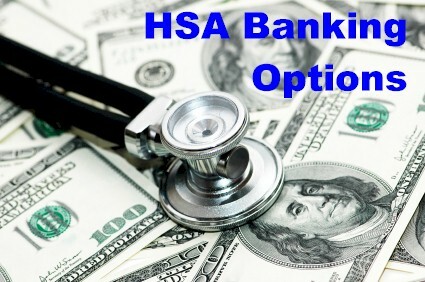 Below is a breakdown of some of the most competitive HSA banking options. Some of the HSA plans below offer simple interest bearing accounts with checks and Visa or MasterCard debit cards, while others also offer investment opportunities for mutual funds, stocks and bonds. You may find it worth while to check with your current bank to also see if they also offer Health Savings Accounts. Some banks will waive fees for current clients. Please remember that before you can open an Health Savings Account you must first have an HSA qualified health plan. Get a free quote on an HSA qualified health plan. Monthly fee charged on the HSA account of $3.00. This fee is waived when an account balance is greater than $3,000. No monthly fees. No transaction fees. Companies like Assurant Health and Golden Rule offer their own HSA programs for people that get their HSA qualified health insurance, but you are not obligated to use their HSA services. Anthem Blue Cross Blue Shield has partnered with Mellon bank, but you are not required to use Mellon as an HSA administrator. 1. Automatic reimbursement to you for claims from HSA. 2. Manual reimbursement to you when you submit request for disbursement. Plans referenced above are subject to change without notice.